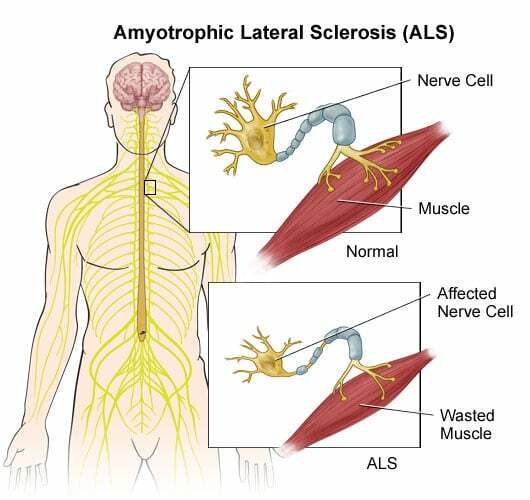 Also referred to as Lou Gehrig’s disease; A progressive disease that affects the nerve cells that are responsible for maneuvering voluntary muscles such as those located in the arms, legs and facial muscles. The minimal explanation would be that the disease affects muscles and over time stops messages from being sent to muscles in your body. 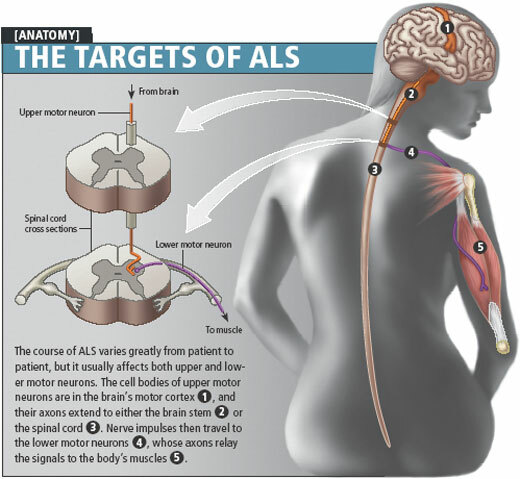 Motor neuron disease; average survival rate is three to fours years before death. Over time, an individual will have trouble speaking, breathing, and swallowing resulting in slurred speech, running out of breath, and choking on liquids and solids.